Can the FAFSA Be Funny? Orientation season at Emmanuel has given me little time or energy to generate fresh content, so I’ve been “running reruns” on the blog for the last few weeks. I’ve also been experiencing reruns on my own, rewatching shows that I haven’t seen in a while or revisiting seasons of shows I didn’t get to finish. 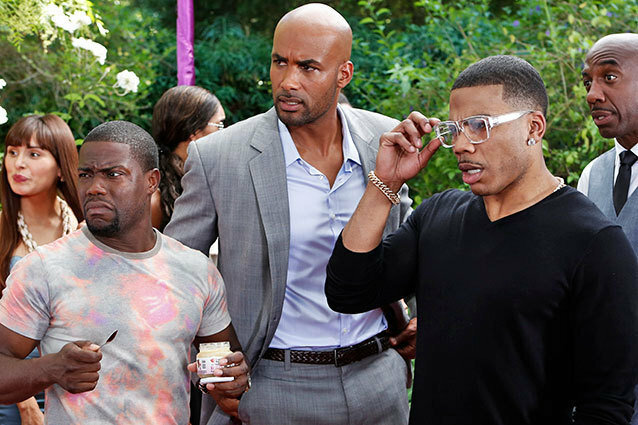 One of the shows that has been played often is season two of BET’s Real Husbands of Hollywood. A comedic parody of Bravo’s Real Housewives shows, it features Kevin Hart and several of his friends playing exaggerated versions of themselves living their lives as entertainers and friends in Hollywood. Featuring celebrities far bigger than we’d typically expect (Floyd Mayweather? Chris Rock? Terry Crews? A pre-controversy Robin Thicke?) also playing exaggerated versions of themselves, the show is equal parts preposterous and hilarious. Just as FAFSA could have taken another route to express their message, I could have easily gone another way with mine. There are more formal, more authoritative stances that can be taken when talking to students and their families. But those who manage social media well understand that the language used must fit the venue we’re using. That is to say, you wouldn’t take a picture of a handbook page and post it to Instagram- you would find a visual way to represent the information you wish to share. You’re probably wondering what this has to do with Kevin Hart’s spoof show. I’m getting there. One of the things that impresses me most about Real Husbands is who they can get on the program, and what they can get them to do. The season 2 premiere featured Khloe Kardashian showing up at a celebrity auction, only to be upstaged by the arrival of her meddling mother Kris. This is a joke that so many of us, irrespective of our investment in the lives of the Kardashians, may have made at home. What’s the difference between the joke at home and the joke on the show? On the show, they’re in on it. The theory builds on work by a linguist, Tom Veatch, and integrates existing humor theories to propose that humor occurs when and only when three conditions are satisfied: (1) a situation is a violation, (2) the situation is benign, and (3) both perceptions occur simultaneously. For example, play fighting and tickling, which produce laughter in humans (and other primates), are benign violations because they are physically threatening but harmless attacks. A strength of the theory is that it also explains when things not funny: a situation can fail to be funny because it depicts a violation that does not simultaneously seem benign, or because it depicts a benign situation that has no violation. So what happens when a tweet like this hits and vitriol arises? 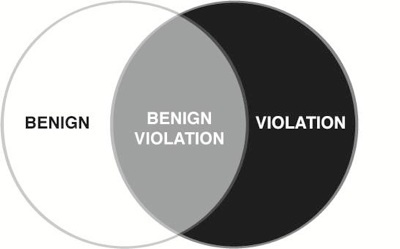 It’s missed the sweet spot of benign violation. In this case, it falls more in the proverbial black; for those who truly struggle to pay for college (and who doesn’t these days?) or are affected by that very real hardship, this tweet was a violation that was far from benign. Paying for college, as we all know from the conversations about the value of higher education, is a tough topic. It’s hard to joke about. Sometimes when we want to tell a joke, we hit upon something that hurts. This is especially common when we try to joke about emotional or difficult topics. We miss. And to the credit of the FAFSA folks, they did the same thing that any reasonable person would do if they told a joke that offended a friend or acquaintance- they apologized. We’ve seen prior gaffes like this result in loss of jobs, or shutdown of social media campaigns. But to echo the wise counsel of social media strategist Liz Gross, this could be too rash a reaction. Instead of saying “You who thought this way…you’re out,” why not consider making this an educational experience, the same way we would (hopefully) do for any student we encounter? The content of the now-removed message says a lot about the people sending it and how they view their audience, but it also says a lot about the people the message serves and their circumstances. And the best way to reconcile the goals of the first group, with the needs of the second group, is to stay on social media. 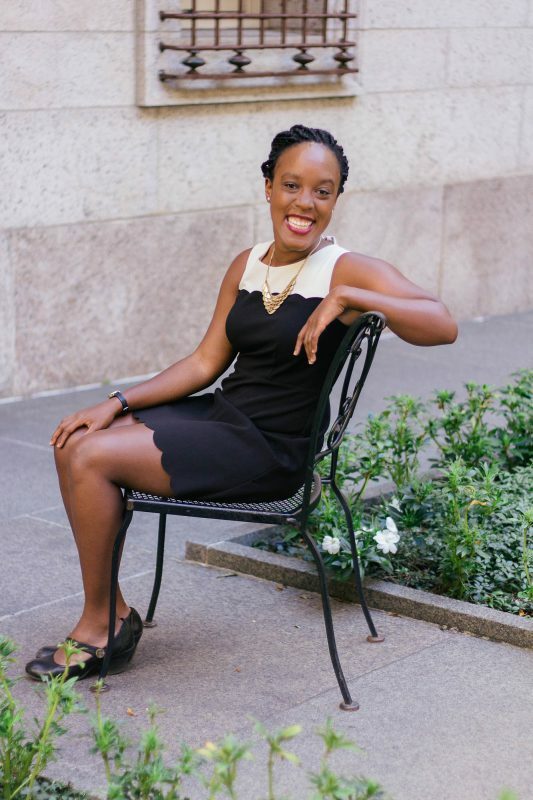 Don’t shut it down, don’t shy away from making it accessible. Keep it social. Ask questions. Crowdsource suggestions. And create relationships with the people being served that can help a social media manager say in an informed fashion, “That won’t go over well with our followers.” To the credit of FAFSA, who has otherwise been vilified in all this, they’ve done this well for over 5,000 prior tweets. My advice to anyone trying to find their voice on social media, either their own or the voice of their organization: take the time to really be social. Find the people that get you. Learn what attracts them to you, and how that fits naturally with who you are (inauthenticity is easy to spot and even easier to discount). And make sure that the audience you’re talking to is in on the joke.